So I was trying to find time to finish things on the game. 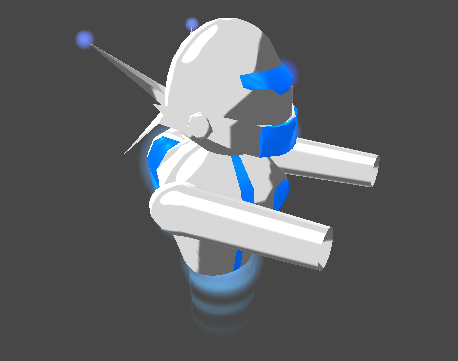 I decided to polish the robot's look & feel and behavior first. I've also included more movement animations for the robot and added some "fake" glow. Also tweaking the flying UFO AI and a draft for health bar. Haven't decided on the final look and feel for the whole game yet but its getting there..